We are pleased to announce the release of Woodlore’s 2012 winter course dates and, after the release of our new UK courses for 2012, we couldn’t let the overseas courses go by without a new one too! We are very excited to reveal a new course developed by Brian Desmond, our long term friend and colleague in Norway. 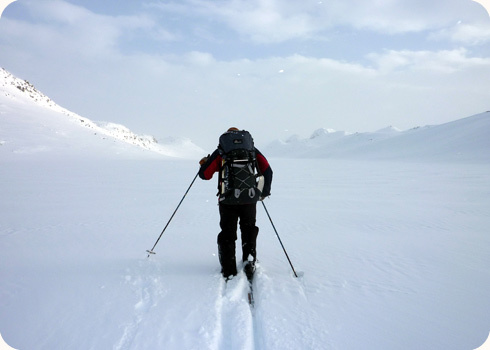 The new course is called Nordic Intermediate Ski Touring, and to attend you need to have experience in Nordic Skiing, either with one of the existing Woodlore courses in Norway or similar. In addition to this new course, we will also be offering two Nordic Skiing courses in January/February and a Heroes of Telemark course in March. All of these courses will now be run Glyn Sheppard, the chief instructor at Brian’s training centre in Norway. In 2012 we will also be running our ever-popular Arctic Experience courses in February, led by Ray Mears and Lars Falt. If you are looking to attend a course with Ray Mears in 2012, the Arctic Experience will be a fantastic opportunity. If you are interested please book quickly as these places are bound to fill fast. This entry was posted in Bushcraft Courses & Expeditions on May 25, 2011 by Woodlore Team.